American Cruise Lines’ second Mississippi River boat met the water for the first time at Chesapeake Shipbuilding in Salisbury, Md., on June 29. The vessel was launched a few weeks after two 600-ton hull sections were joined together. Immediately after hitting the Wicomico River, tugboats nudged the new riverboat into the shipyard’s east outfitting basin, where the upper decks and outfitting will be completed. The new boat, still unnamed, will accommodate up to 150 passengers. 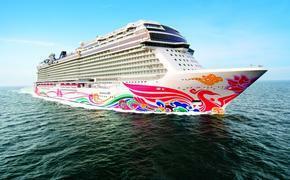 It is scheduled to begin sailing on the Mississippi River and its tributaries in spring 2015. “This is a significant milestone in the construction process and also for American Cruise Lines,” said Timothy Beebe, company vice president. Once a niche player, American is growing fast, at a pace of more than 25 percent in each of the past three years. To handle the additional demand, it hired about 50 new employees this year, many for a new reservations center in Salt Lake City and others for operations in the Guilford, Conn., headquarters. 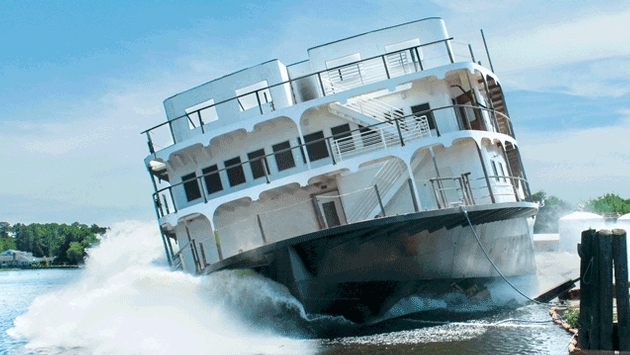 American began operating on the Mississippi River system in 2012 with the newly built, 150-passenger Queen of the Mississippi. The small-ship specialist also operates the 120-passenger Queen of the West in the Pacific Northwest and four 49- to 104-passenger ships that sail on inland waterways and along the U.S. coasts. With the success of its domestic river cruises, American Cruise Lines is expanding. Along with the recently launched vessel, the company is building a 175-guest vessel for the Columbia and Snake rivers next year and two more riverboats for delivery in 2017.